Come one, come all! 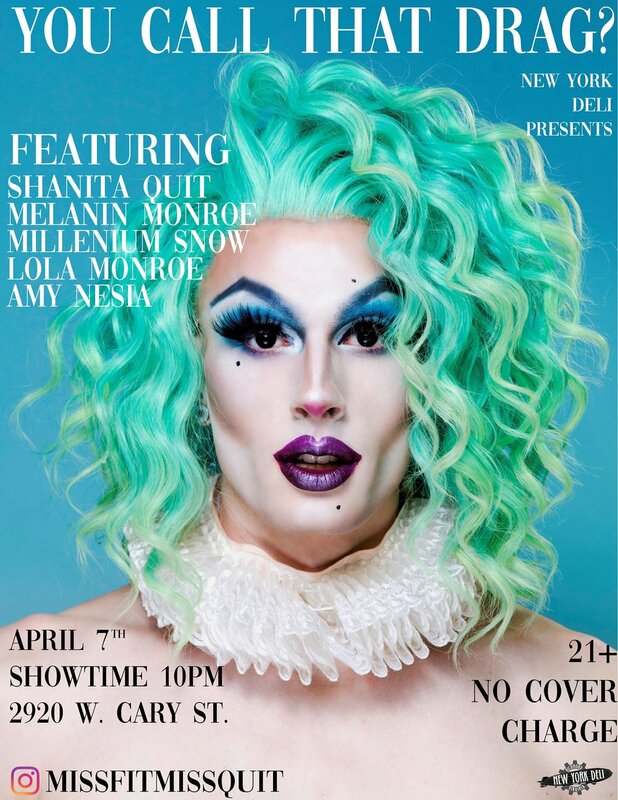 Join us for our very own Deli-style Drag Show Sunday, April 7th, hosted by Shanita Quit and sponsored by Break Thru Beverage. Local queens will also be performing and making this one Sunday night you'll never forget. Our very own Sutton Iman will be there spinnin' the night away as always.